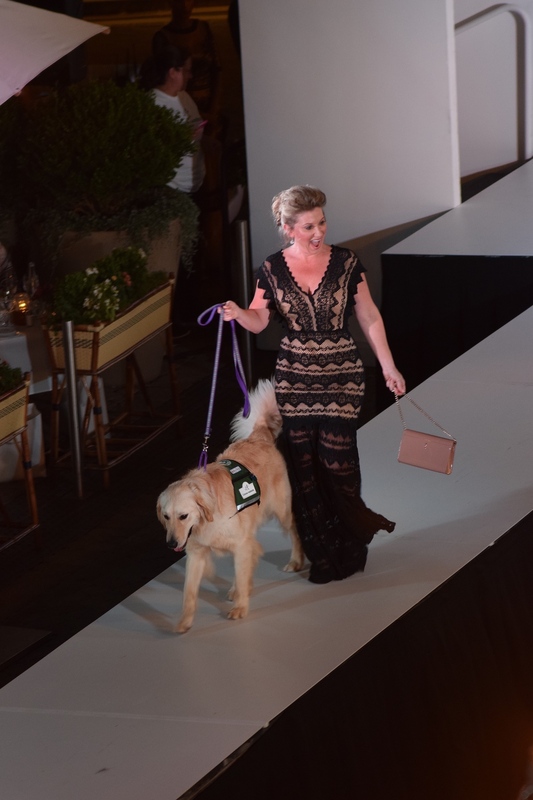 Erika Sutton, a 2011 graduate of Canine Assistants, shares a little about her experience with me just before #DoggiesOnTheCatwalk kicked off. She and her 7-year old service dog "Paisley" were fashionably poised outside at The Shops Buckhead Atlanta when I arrived. Ericka says, "It's just been an awesome journey to have a disability, but that's not the highlight when we're in public. The highlight is her (Paisley) changing the conversation. We talk about her, then we talk about my independence and everything I have accomplished in life." 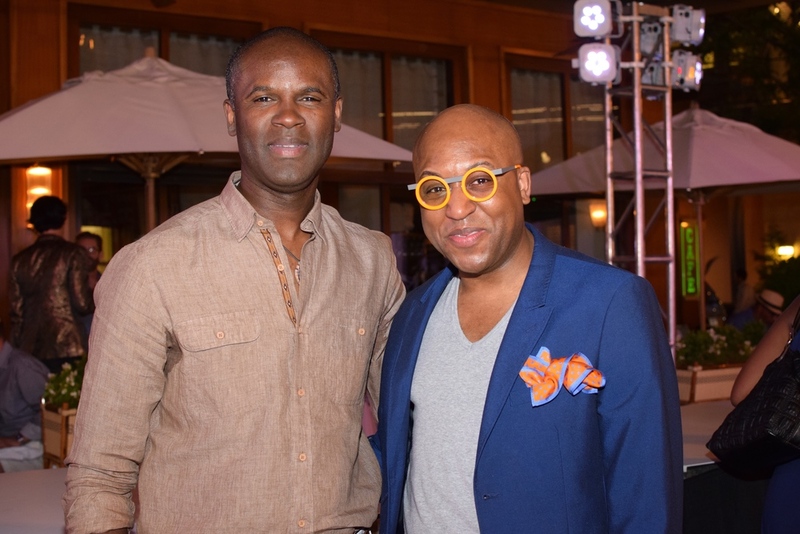 In fact, it's people like Ericka and stories like these which are exactly why Vincent Martinez and his team work so tirelessly to host the highly anticipated fashion fundraiser every year! 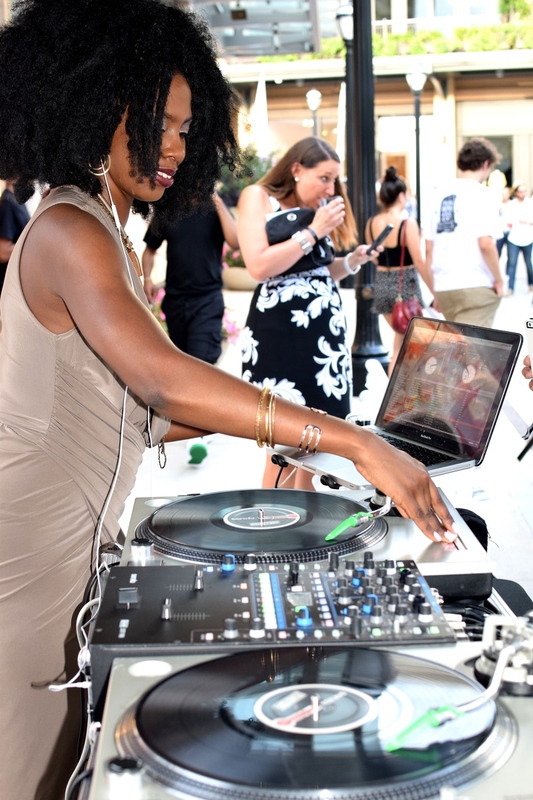 Celebrating nine wonderful years of #DoggiesOnTheCatwalk bliss, the event was held again at the beautiful Shops Buckhead Atlanta. 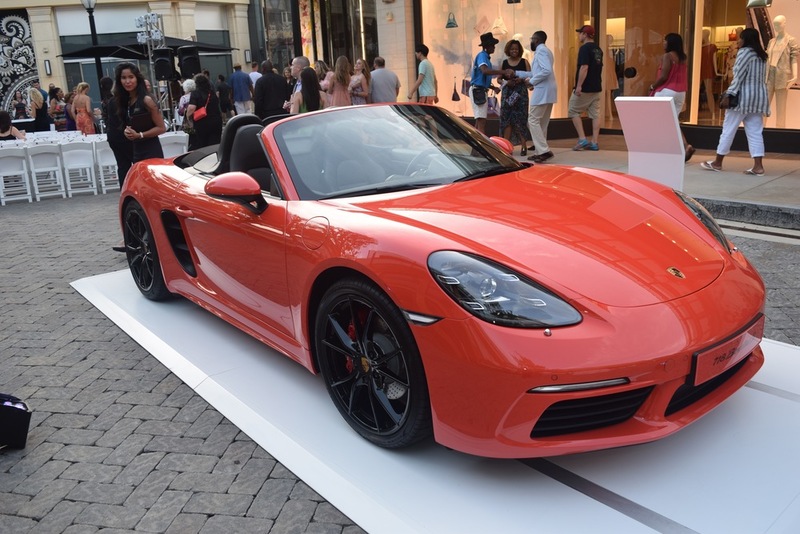 With just one year to a decade anniversary of this event, guests gradually starting flooding out the scene to network, browse the silent auction and gaze at these two 2017 Porsche vehicles parked out front including this a stunning 2017 lava orange Boxer S. There was just so much class about the whole event, that you couldn't help but be entertained from start to finish! The silent auction was lined up with over 20 items to pick from, including a custom 30 X 60 wooden mural portrait of a single pet by Kent, a matching necklace and earring pair by Kendra Scott Jewelry, an exclusive Porsche Driving Experience where the recipient would ride with one of the country's most accomplished race car drivers and many other signature items that were being auctioned out. Vincent Martinez does not hesitate to tell you that pulling off such a grand event requires a solid team and hard work, like that of Theo Tyson, Grace Murphy, Laura Williams, Jacqueline Childers and Denae Hutchinson. Grace Murphy, the Director of Development for Canine Assistants, shares with us that her organization trains service dogs and places them at no cost with their recipients. With that being said, the foundation has to continuously raise funds to house and train these dogs from birth totaling over 25K per service team. Canine Assistants offers service dogs for epilepsy patients, diabetic patients, those in need of assistance with their general mobility. Likewise, they currently have 11 service dogs in rotations with the Children's Healthcare of Atlanta. Grace says the need is so great that they have a 5 year waiting list to-date. With this very pertinent information about what all Canine Assistants does, I found myself even more intrigued with these adorable dogs at the event. But alas, amidst all of the activities, the time for the runway show arrived as these amazing doggies strutted down the runway along with their models! This year, #DoggiesOnTheCatwalk was fortunate to have designs featured on the models by Alice + Olivia, Akris, Planet Blue, Therory, Christian Louboutin, COS, Les Copains and Tod's. The lovely Monica Pearson was emcee of the runway show and introduce the looks and the K9 models as they walked. We also got a chance to view 3 stunning looks designed by individual Art Institute of Atlanta students. The culmination of a classy event with stellar designers all for an absolutely worthy cause, is one that I'd recommend you be a part of next year for the 10 year anniversary! For more information and coverage of #DoggiesOnTheCatwalk, please visit www.fashionado.net and to support Canine Assistants, please visit www.canineassistants.org.